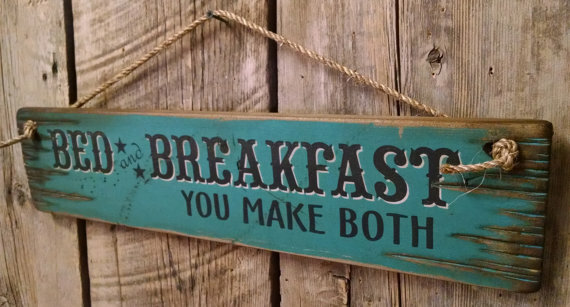 Bed and Breakfast, You Make Both!! 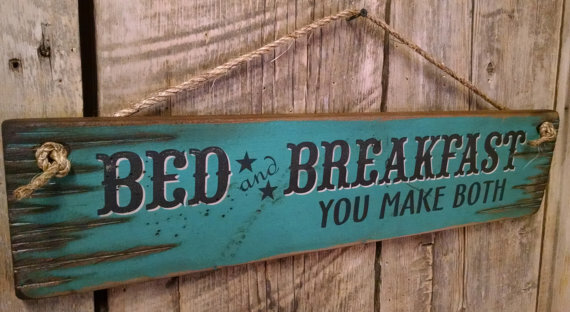 This sign will charm your guests and let them know not to expect too much This turquoise background sign measures 5.5x24 and comes with the grass rope hanger for easy hanging! Handcrafted with pride!